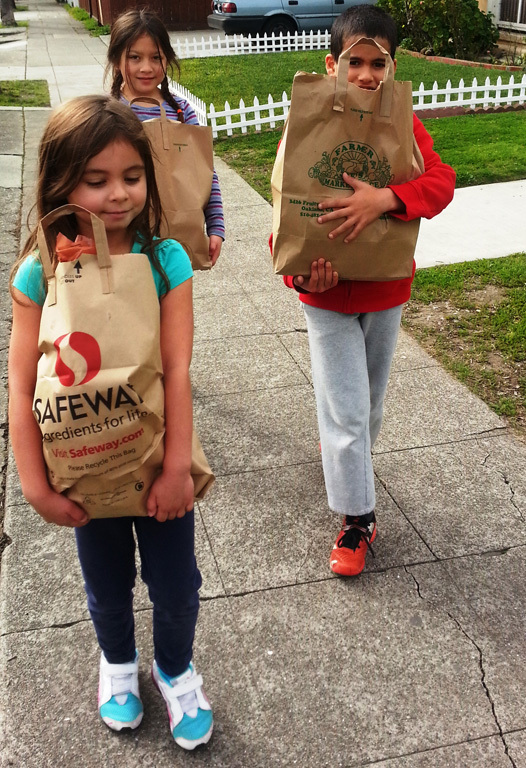 To prepare these recipes, we went shopping for ingredients in our Oakland Dimond District neighborhood. Susan was kind enough to help us prepare the dishes. We enjoyed the meal and invited students from other levels to join us. Susan also provided students with a presentation on Germany. The students were curious about the history of the German flag, the origin of Oktoberfest, and Susan even taught us some German. We can now greet each other at the start of the day with: "Guten morgen." Join us on "A Silent Journey" to Experience Montessori Cultural Materials-Feb. 26, 6:30 p.m. Walk silently through The Renaissance International School's Cultural curriculum to gain a view of students' work in the classroom. Join The Renaissance International School’s (TRIS) faculty in ”A Silent Journey,” a unique “journey” through the Montessori school’s classrooms and experience the Montessori Cultural Materials, just as the students do on a daily basis. The students at The Renaissance International School learn a great deal through silent observation, which leads to an increase in their level of interest and curiosity. 'A Silent Journey" attendees will walk silently through the cultural curriculum in order to get a view of students’ work in the classroom and an understanding of the depth of the Montessori curriculum across many levels. Following the walk through, faculty will be available for discussion and to answer questions. Attendees are welcome to request a lesson from the teachers, just as the children do in the classroom. In the art studio, our elementary and middle school students are continuing with ceramics projects. They are continuing with technical lessons and the application of glazes for ceramic fish tiles and lidded boxes. Students were asked to use at least 3 colors and layer them according to their knowledge of color theory. 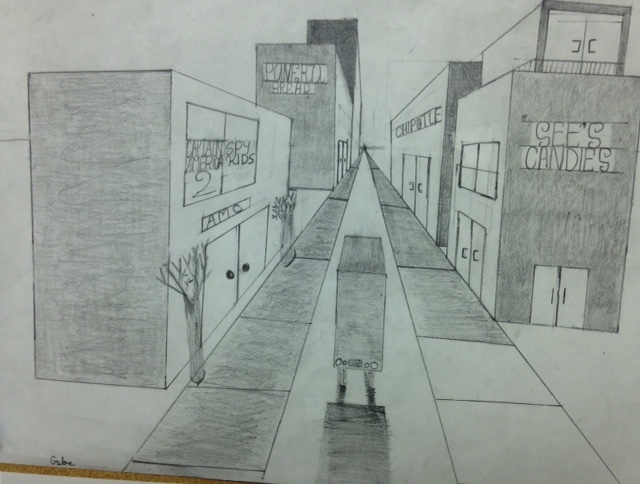 In addition to ceramics, students are also learning about linear/geometric perspective drawing. They were presented with the underlying principles of one-point perspective and the fascinatingly simple rules that help to organize 3 dimensional space and make it seem magically real. We used rulers, pencils and erasers, and drew cities and room interiors. Our vocabulary list included the words: appear, converge, horizon, horizontal, vertical, parallel, diagonal, vanishing point, and plane. Some students were able to add value by using strokes that followed the correct directional planar analysis (vertical vs horizontal vs diagonal). 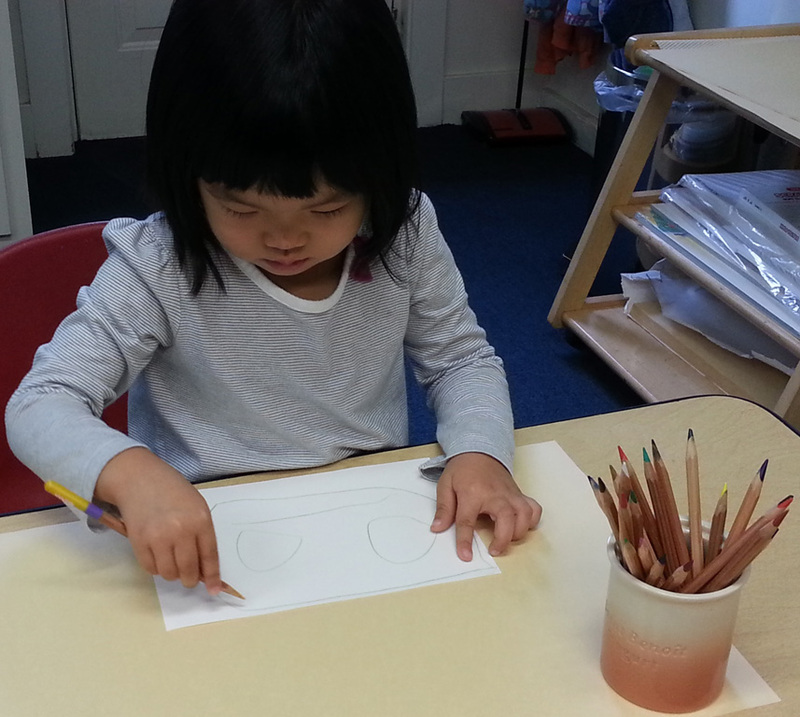 Read more about our Montessori studio art program. Stu­dents from Oak­land, Berke­ley, San Lean­dro, Alameda, and other San Fran­cisco East Bay cities attend The Renais­sance Inter­na­tional School, located in Oakland’s Dimond District. The school is for Pre-K (age 2 years old) through middle school. 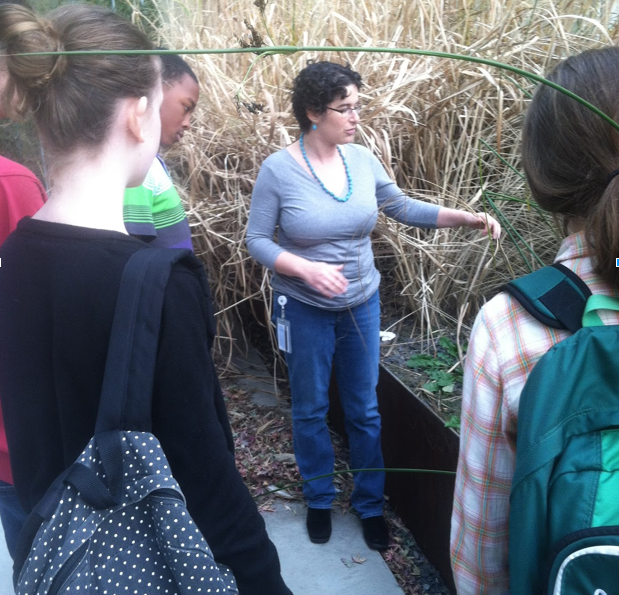 As the middle school students at The Renaissance International School wrap up their work on biodiversity and renewable energy and start the new year, they had one last treat in store for them: a trip to two different labs at UC Berkeley! We started our day in the laboratory of Professor Potts, where one of the graduate students, Matthew Luskin, spoke to us about his research. Matthew has been working in Indonesia to understand how it is that biodiversity - particularly as related to larger predators - changes at the border between forest and palm oil plantations (as compared with the biodiversity of the pre-existing forest) for conservation purposes. The students were fascinated to hear how he went about answering this question: he hiked into the forest for weeks at a time, setting up camera traps to record what animals were in the vicinity. Once the cameras were in place, he allowed them to collect data for months so that he could analyze the relative frequency of herbivores and predators. Although Matthew found that there was an increase in a certain species of pig near the edges of the forest, he did not find a corresponding increase in the presence of predators such as tigers. 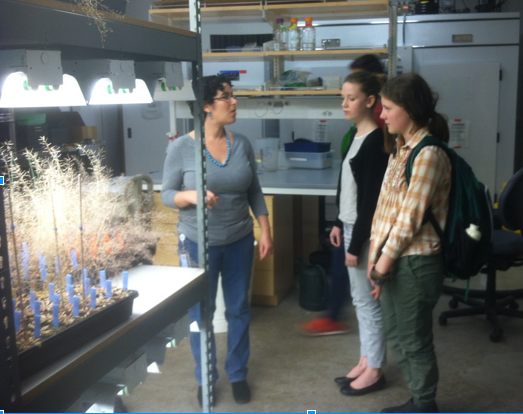 We then went to visit the Energy Bioscience Institute (EBI), where we were warmly greeted by Shelley Brozenick. Shelley started off by giving us an overview of the work done at EBI, where researchers from different disciplines work together to explore the future in bioenergy. She explained the focus on creating biofuels using a cellulosic process (breaking down the cellulose in cell walls to sugar in order to form ethanol). This process, although more expensive and complicated that simply using corn to create biofuel, will require less land and can be done with a greater variety of plants, including parts of plants that have no other use at present. Shelley then led us on a tour of this amazing facility, explaining that much of the layout was determined by consulting the researchers that now worked there. As a result, the building not only houses the actual laboratories, but also informal community areas (complete with whiteboards) so that researchers working on different things can have greater contact, allowing new connections and solutions to be developed. It was a real treat to see such an amazing laboratory. 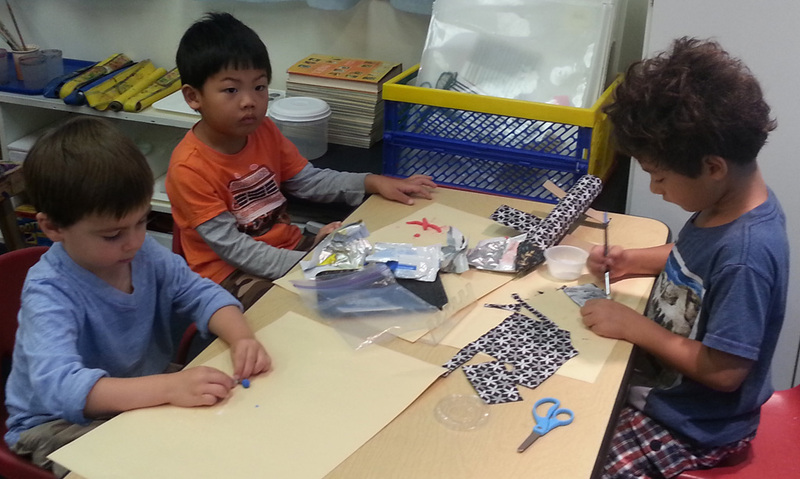 Recently many of our primary students discovered the joy of creating three-dimensional artworks. 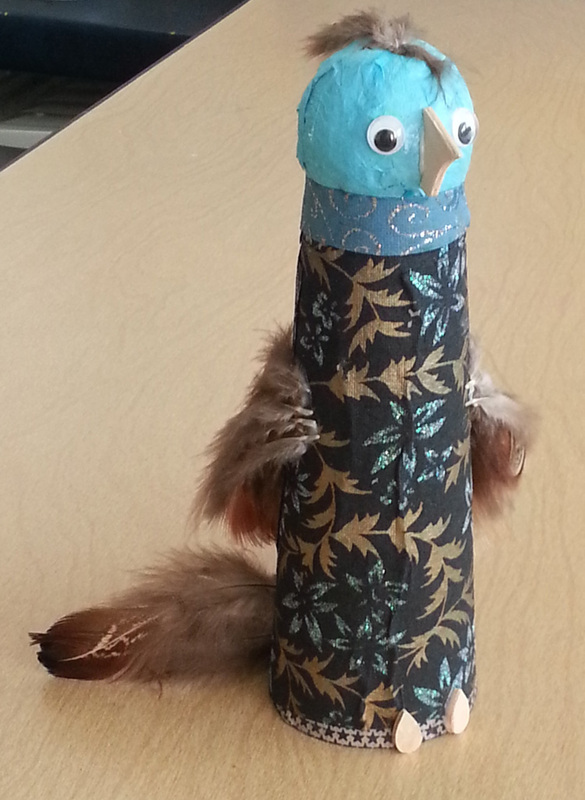 Cardboard cones, styrofoam balls and bits of wood in various shapes and sizes have been used by our young artists to make dolls, birds, airplanes, rocket ships, a dragon, a car, a house and a trumpet! It was wonderful to see the students working with volume and texture as well as color. Beautiful handmade papers, yarn, feathers, sequins and beads were also used to complete images. 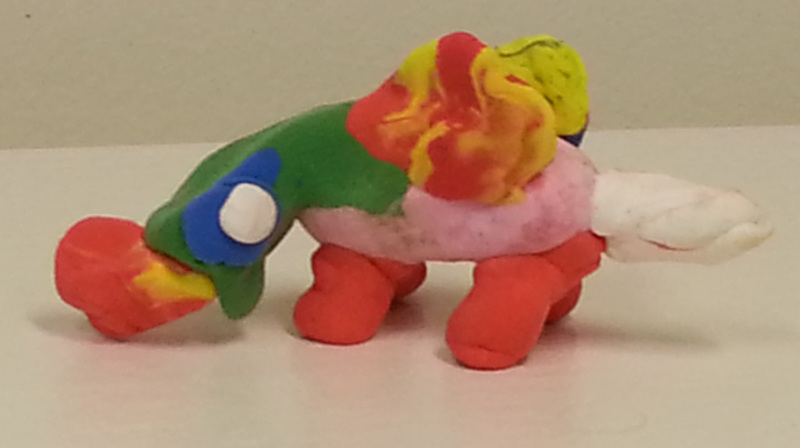 Students practiced working with two different kinds of glue: Elmer’s Glue All and Aleene’s Tacky Glue. There were two different tools to use: bristle brushes for Elmer’s glue and plastic spatulas for Tacky glue. Every student working on a three-dimensional project had to choose and measure the paper, cut and use tape, various papers and yarns, and make decisions about colors and patterns as well as the size of the parts and their placement. Another new work introduced recently was making a collage with wooden shapes on a masonite or a canvas board. Students were using various wooden shapes and craft sticks to create images of people, cars, trees, birds etc. or their original decorative designs. They were using Aleen’s tacky glue and plastic spatulas to attach wooden pieces to the board. As always, there is a wide range of art materials available to students at the art studio. Children are drawing, painting, building little objects with clay, working on their weaving and needlepoint, making paper collage, and much more. Read more about our studio arts program. The Renaissance International School is a Montessori school in Oakland for children ages two years old through middle school. 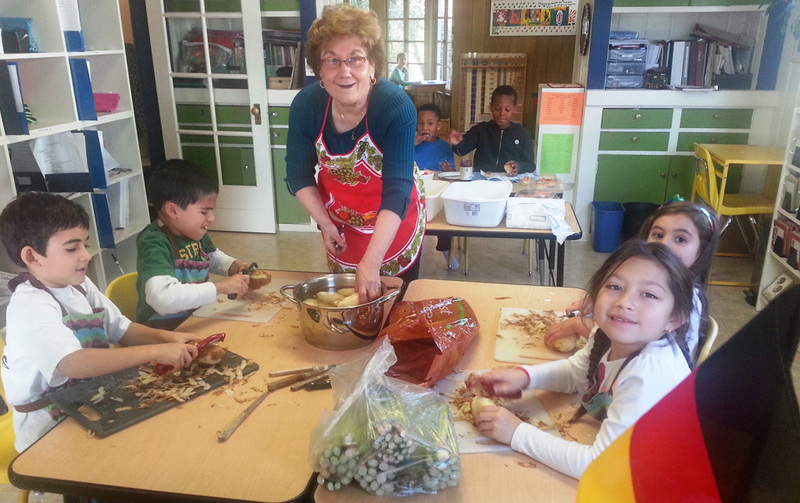 The curriculum includes music, fine arts, and language immersion programs. Students from Oakland, Berkeley, Moraga, Alameda, and other San Francisco East Bay cities attend the school.